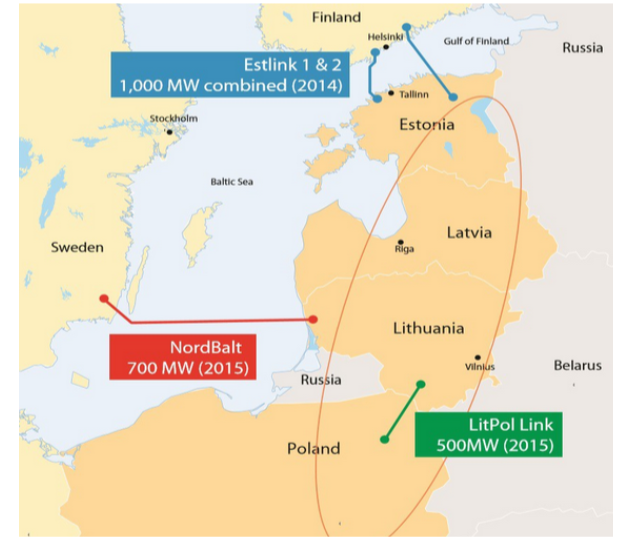 The synchronization process is a key step to physically integrate the Baltic States with the Continental European energy system. Project itself offers a major contribution to the solidarity and energy security of the European Union and eventually terminates isolation of Baltic states from the internal energy market and their dependency on Russian system. It is one of the most emblematic projects of the Energy Union. On the 18th April 2018, during ceremony attended by Commissioner for Climate Action and Energy Miguel Arias Cañete and Estonian Deputy Secretary General for Energy, Ando Leppiman, the Latvian State Secretary for Energy, ĒriksEglītis, the Lithuanian Minsiter of Energy, ŽygimantasVaičiūnas, and the Polish Undersecretary of State for Energy, Michał Kurtyka was signed grant agreement under the Connecting Europe Facility for the amount of €125,000 for a technical study to pursue the synchronization process. This process will be implemented by national TSOs from Poland, Lithuania, Latvia and Estonia. The completion of this study with the support of the Connecting Europe Facility will be another milestone on the road towards June 2018, when leaders have committed themselves to reach a final political agreement on the preferred way of synchronizing the Baltic states with the Continental European network.